winning startups will develop new contacts and mentors in the US while learning how to operate in a very different and more competitive market. 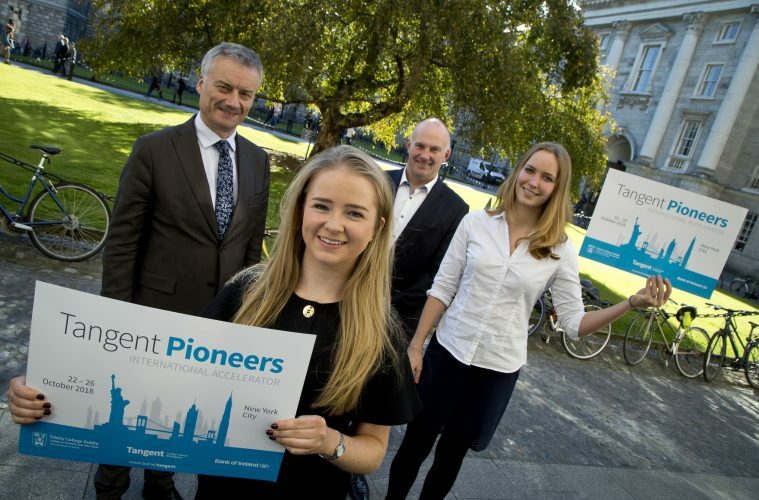 The programme is being led by ‘Tangent, Trinity’s Ideas Workspace’, which is an exciting, recently launched initiative at Trinity College Dublin that is supported by Bank of Ireland. over 1,500,000 founders, investors, mentors, and industry leaders); meet with Oisín Hanrahan, CEO and co-founder of Handy; interact with Blackstone mentors; meet representatives of Enterprise Ireland; and deliver pitches to potential investors. produces ‘green’ shower-heads (Greener Globe). near future.